Feel free to link up as many posts as you’d like. We have a lot to talk about and so little time! 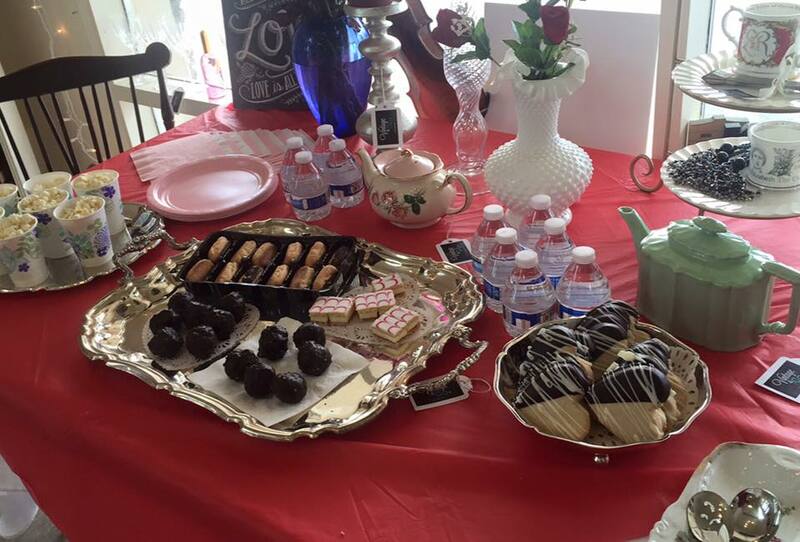 First, we had our 1st Valentine Tea and Sale at the store this past weekend! 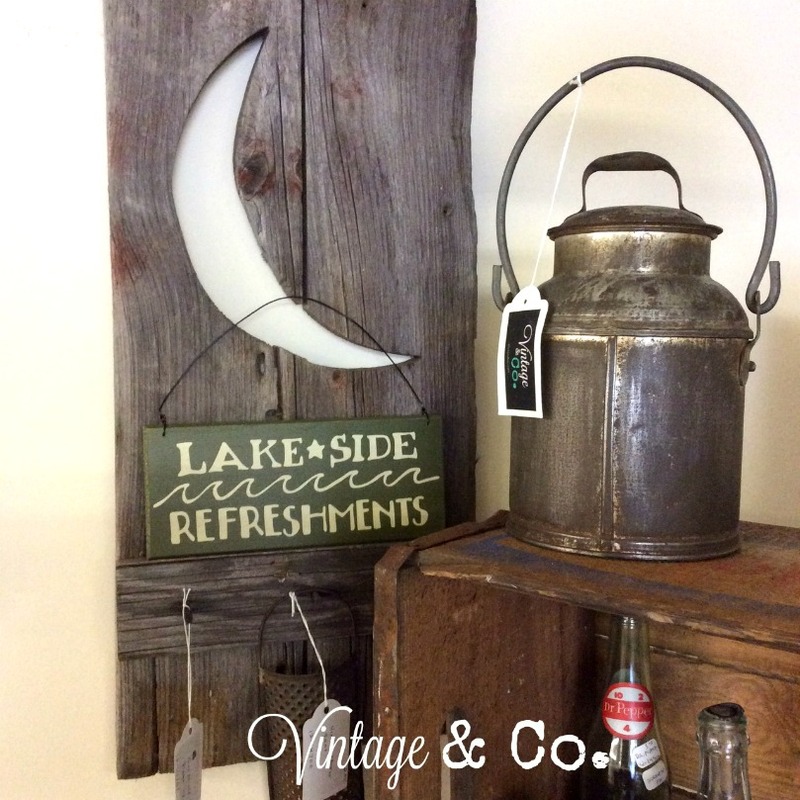 The above photo is from our easel sign that we place outside. Customers were cheered by it all so that is what matters the most. We had a couple of wonderful new arrivals to the shop, too. 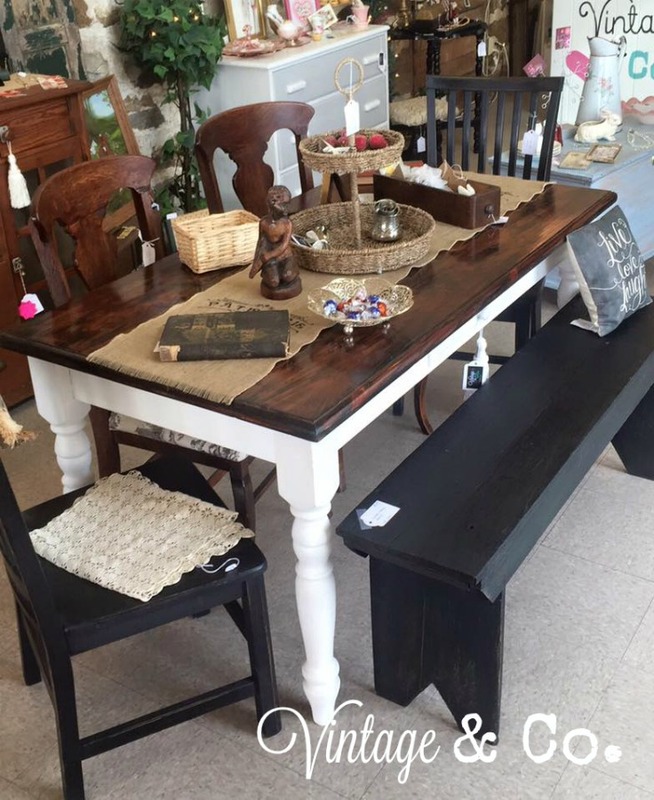 Check out this farmhouse table …. Really LOVE! two more black chairs, and a vintage bench. using my “Patisserie” stencil and a sharpie. 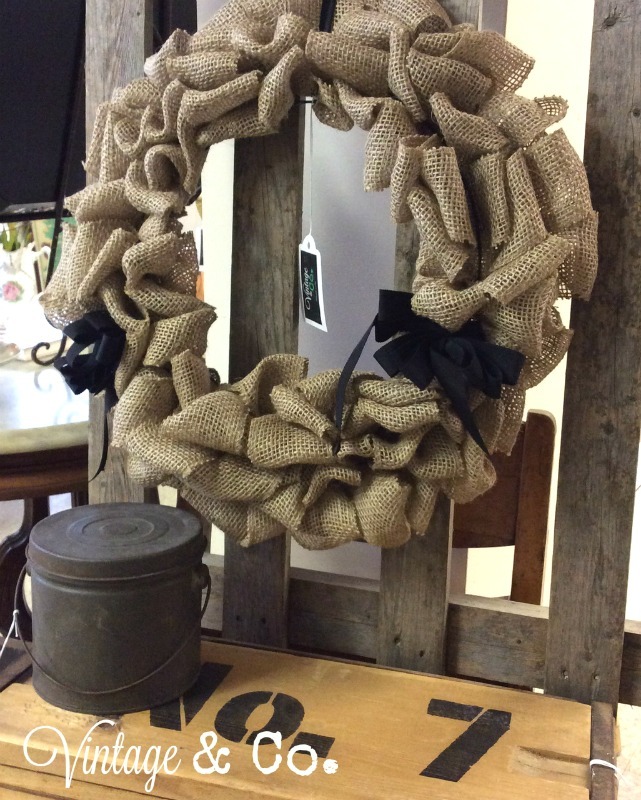 And I finally tried my hand at making a burlap wreath. for the next one. I used a YouTube tutorial to make it. I could blog about it! A good problem to have! into an entry way coat tree and shelf. After the tea was over, I re-styled it with some other rustic items. 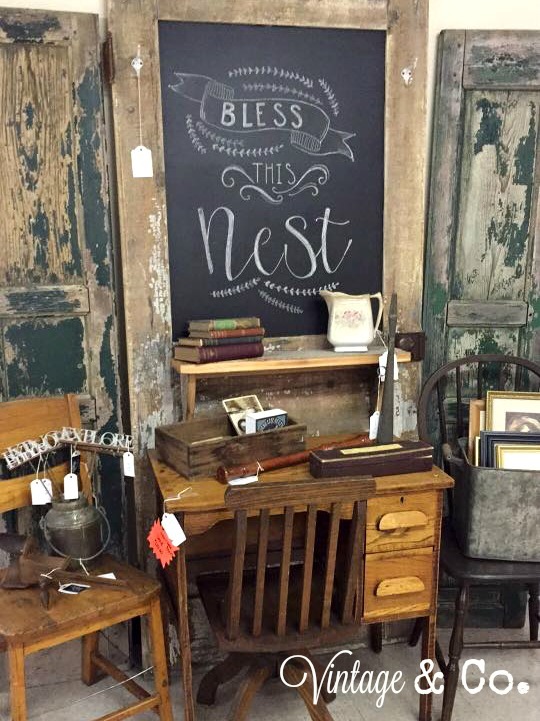 Large old shutters, an old antique child’s desk, plus tin and rusty stuff! 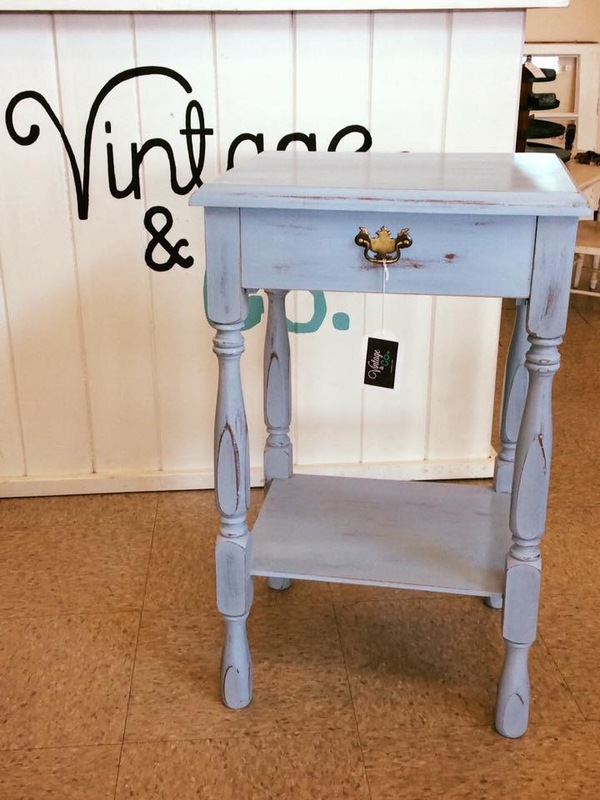 I also worked on a wonderful little blue nightstand. Gave it a weathered beachy look. 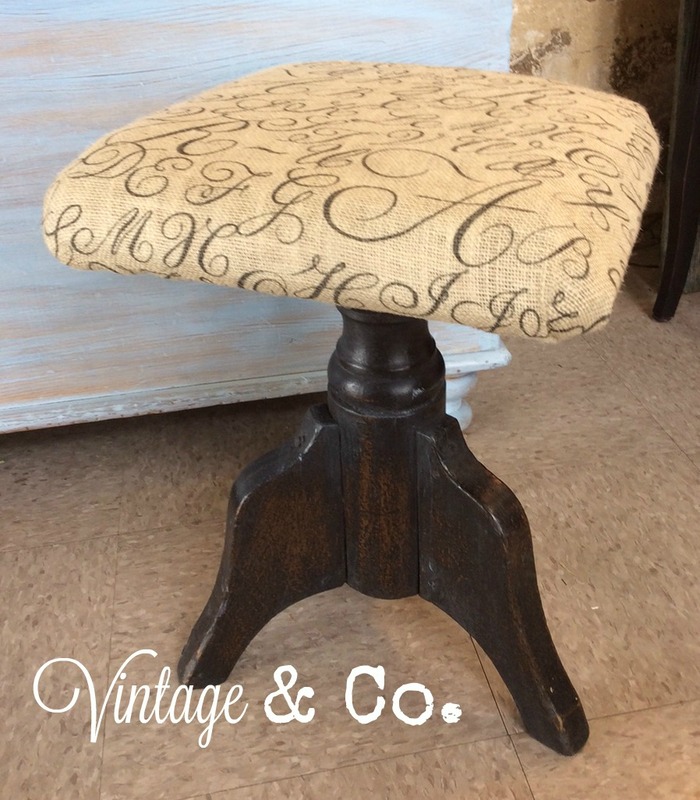 An old piano stool got a makeover too. We are forgetting to take before photos! red furniture stain was getting cruddy. Much better and trendier now! Hope you enjoyed our latest projects and our Valentine Tea! Diana of Adirondack Girl at Heart. 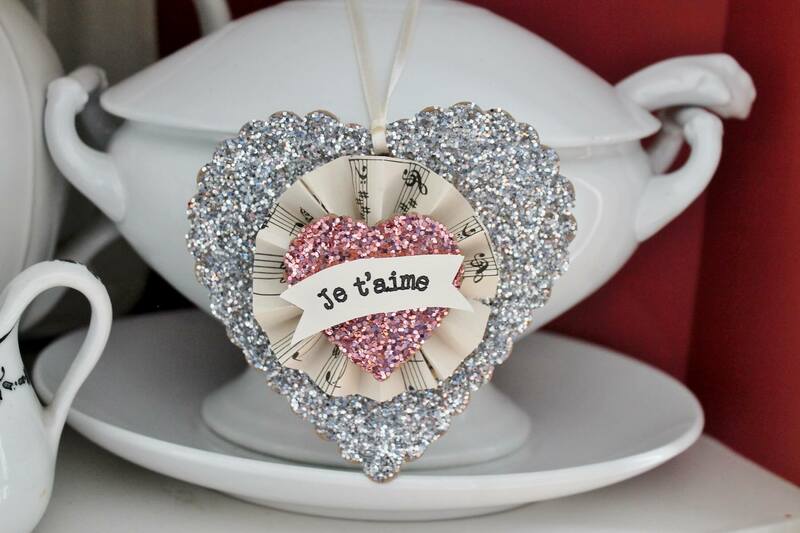 Who can resist hearts and glitters for Valentine’s Day? 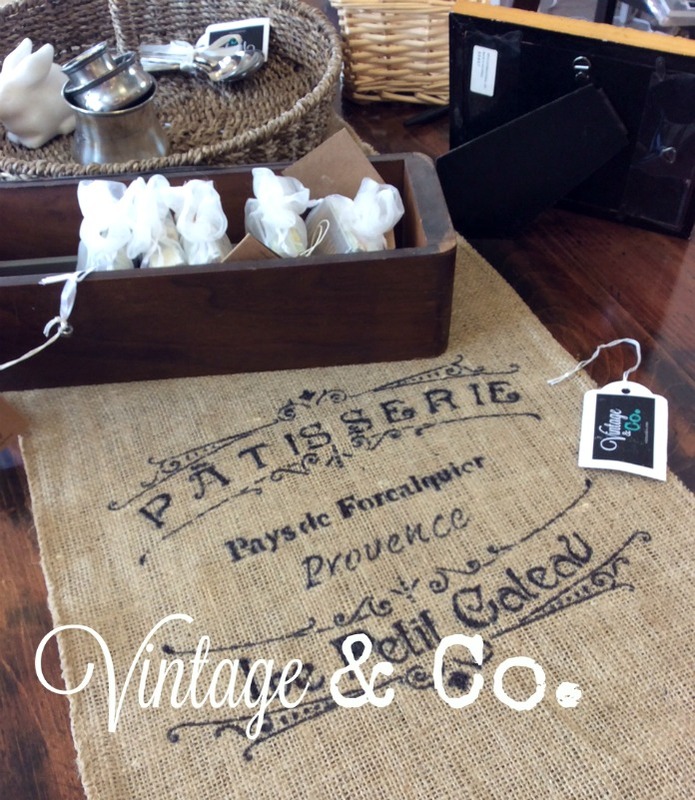 or a little French? SO darling! And next we have Gina of Victorian Wannabe. She and I are kindred spirits when it comes to old books. collection. The covers are amazing. putz houses a makeover! So sweet! if you were featured today or during any other post. Now it’s your turn. 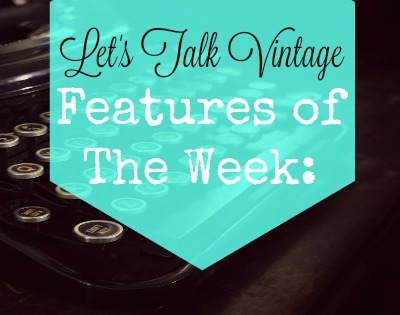 Let’s Talk Vintage! 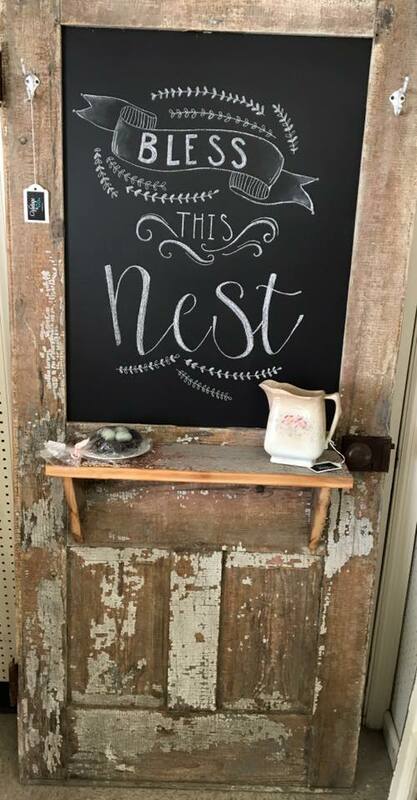 I heartily thank you for sharing your stunning post and for hosting such a lovely link-up party, sweet Jill ! Thanks for the feature, Jill!! 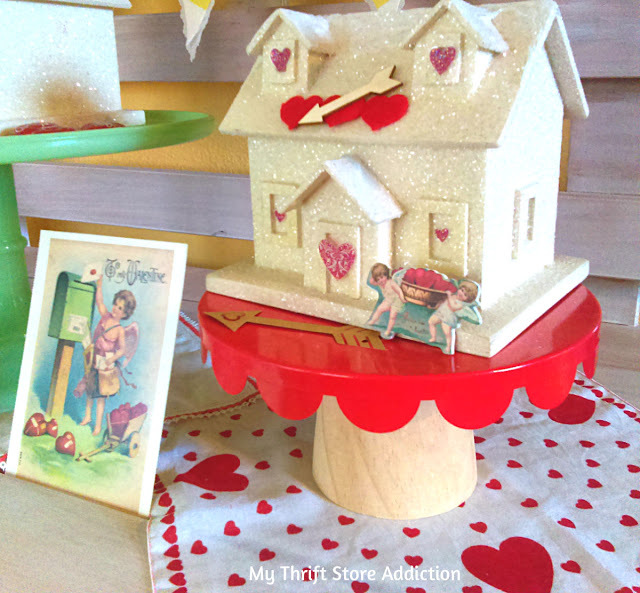 Thank you for featuring my Putz house Valentine vignette, Jillian! Happy Valentine’s Day! Hi Jill, how honored I am to be featured right along side Cecilia and Diana! Thank you so much, I will give you a shout out on my next post. 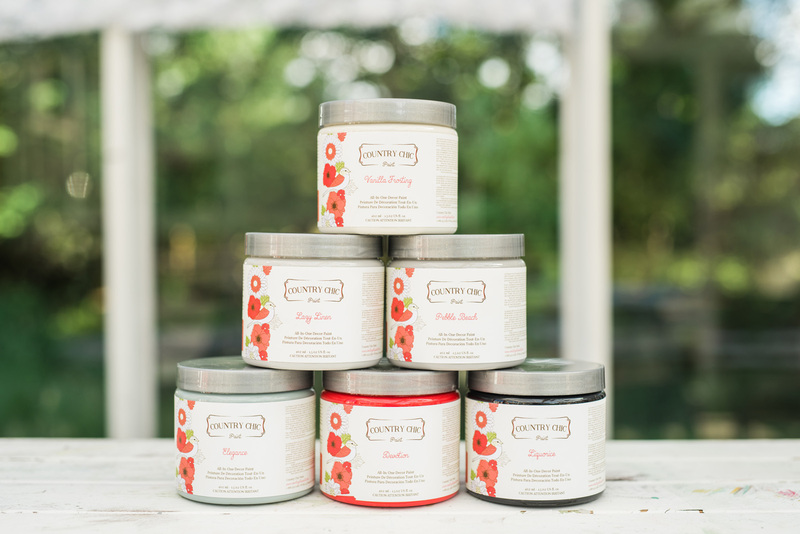 Your tea looks wonderful and all the items in the shop look great. Sounds like you are doing really well, so glad. Your shop looks absolutely lovely and inviting! I want to browse and touch!! Thanks for the party….sorry about the double post. 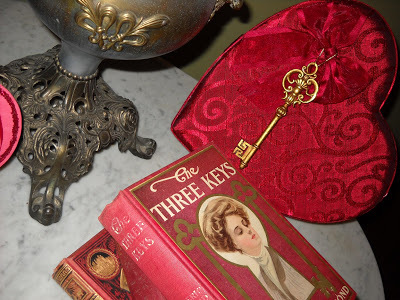 ← Let’s Talk Vintage #120: Pops of Red for Valentine’s Day and Our Special Tea!